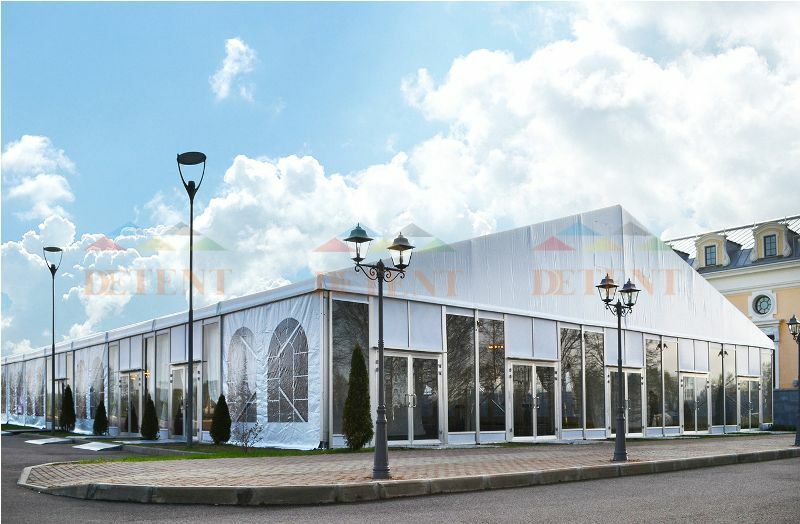 Hangzhou Deyi Exhibition Tent Co.,ltd. - Fabric cover: high quality White double surfaces PVC coated, flame retardant to DIN4102 B1, M2; temperature resistance of -30°~+70°, water proof, UV treated; tear resistant, self-cleaning ability, etc. Has option of 650g/m2, 750g/m2, 850g/m2 and 950g/m2. - Easy to be assembled and dismantled, convenient to stock and transport. - No poles inside, 100% interior space available.